What an wonderfully extending challenge. The entries were outstanding as always and quite varied due to the openness of the prompt. However, this time it was easier to achieve consensus, as Yolanda and I came up with the same top three! That's progress! It usually takes several emails then a check around for other opinions. Kudos to Olga Godim, our badge designer, and Nilanjana Bose, our prompt guru! PEACE and LOVE was inspiring. 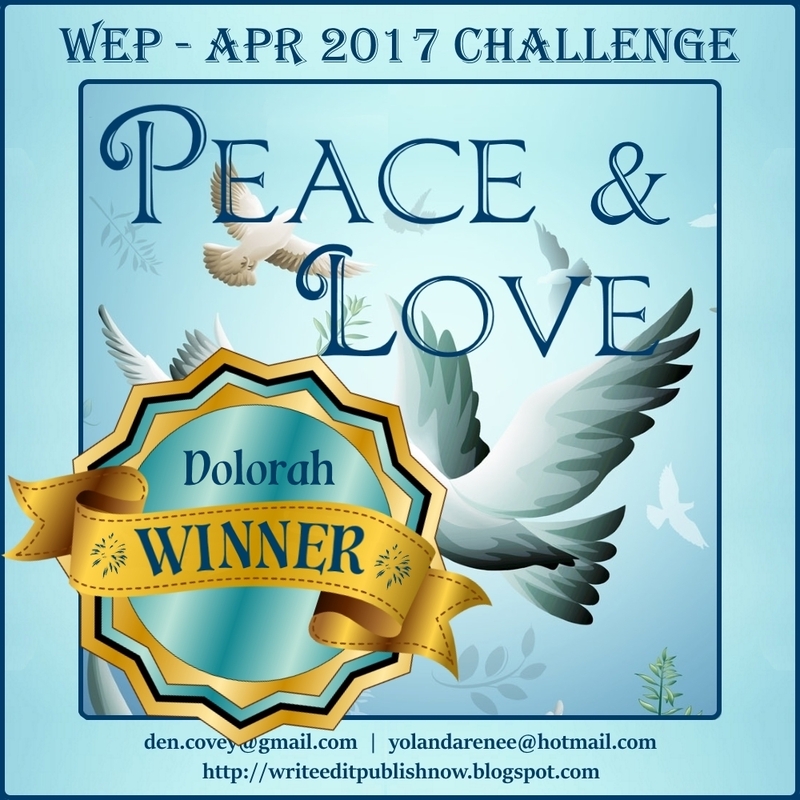 Please, accept the winner’s badge and display on your blog with a link to your story. Where can you find Peace was gripping, as Roland is wont to be. A timely post on the difficulty of achieving peace in our world today. For me, the touching scene of the grandmother holding her grandchild as they drowned had a huge impact. 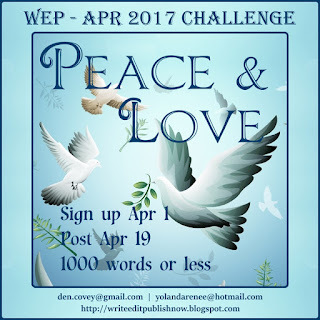 PEACE AND LOVE – A powerful tale where the heroine sacrifices her life for her friends, a great flash. Makes us question ourselves--how far would we go to bring peace? Let's face it, you're all on our shortlist this time. But we must give an honorable mention to Pat Garcia for her "The If of Peace and Love". Pat always makes us think deeply with her enchanting way with words. A thoughtful poem with a theme of the sacredness of respect amongst all creation. Thanks, everyone, for joining us in April. We love each and every one of you. 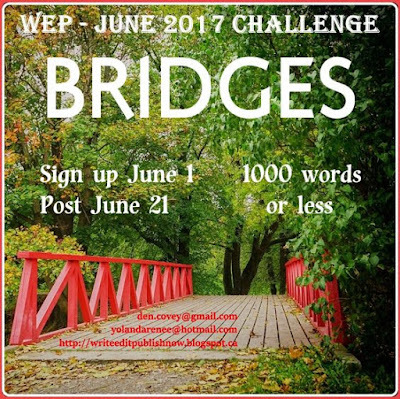 Can't wait for the next challenge in June, Bridges. Go to our Challenges Page above to read more on this prompt. See you then, but be sure to return for the winner’s guest post! BREAKING NEWS! Yolanda begins her blog tour to promote her Prequel to the Detective Quaid series...The Snowman. I'm hosting her on my blog on May 3. Here are all the appearances by our dear co-host. I know she'd appreciate a visit.